This morning, Double Fine revealed both Swedish team Starbreeze Studios as the publisher for Psychonauts 2, and gave fans a good look at the game in action. In a sizable video update to their Fig campaign page, Double Fine President and CEO Tim Schafer immediately announced his team’s partnership with the Brothers: A Tale of Two Sons and Payday studio, citing their development background as a desirable trait for a publishing partner. Starbreeze will invest $8 million into Psychonauts 2, claiming 85 percent of profits until they’ve made back their investment, after which they will continue to receive 60 percent of the game’s revenue. 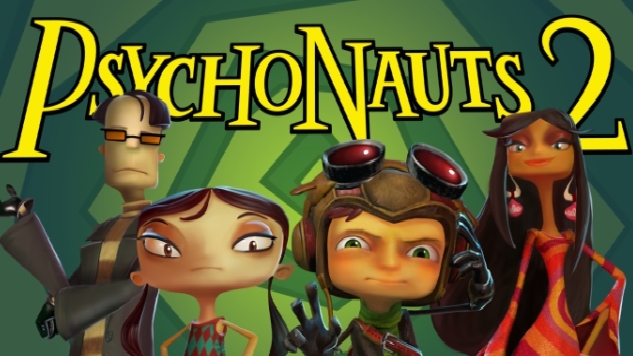 Double Fine will be allowed to retain the all rights to their Psychonauts IP. This is something the studio has been denied in the past with titles like Brutal Legend from publisher EA. The test footage itself shows off returning protagonist Raz platforming his way through a “throwaway” forested level that won’t be included in the final game. The new peek at the title is paired with commentary by Project Lead Zak McClendon and Schafer himself. In recent Psychonauts news, PSVR-exclusive interquel Psychonauts in the Rhombus of Ruin received a fast-approaching release date last week of Feb. 21. Psychonauts 2 itself is still targeted for a Q3 2018 release, according to the title’s Fig page. In case you hadn’t heard, the long-awaited sequel to the 2005 platformer was the highest-funded project in the history of crowdfunded games. For the most recent look into the game’s development, check out today’s update below.